The model which is designed for small and mediaum sized patisseries with renevved form may pour all liquid and medium pastes such as cake, macaroon, meringue, eclair as well as all estron type cakes in different fıgures and desired vveight with liquid paste contained. By rotating group and revolver sockets, it is easier to obtain many round products. Medium and hard pastes (Turkish shortbread, kavala cookie, cookie etc.) may be poured easily by hard paste Container and production with desired weights is possible with wire cutting unit. Our machine provided a wider range of products through servo motors added into the machine after the innovation process and became more practical and functional with 100 program digital sereen. 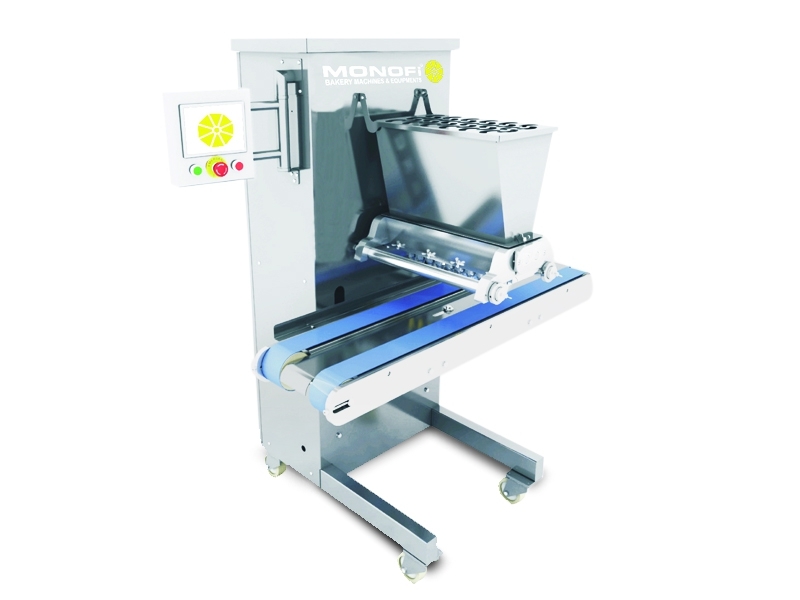 The machine has a Container type which may be disconnect easily by the user and cleaning is easier now. Only one personnel will be enough to use the ergonomic machine with wheels.